Our client is recruiting for a Multi-Track PI Solicitor to join the team at the Manchester based office. 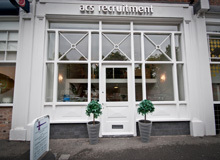 ACS are recruiting for a Residential Conveyancing Solicitor/Fee Earner for a small firm in Altrincham. We are looking for unique and exceptional professionals on behalf of our client to work at their Cheshire based office to supervise a small team of Litigators. We are recruiting for a Senior Paralegal with experience and a proven track record in commercial law looking for our clients Warrington based law firm. ACS are looking for a Credit Hire Solicitor to join the Warrington office of a well-established law firm on a full time basis. ACS are looking for a Defendant Claims Handler to join the Warrington office of a well-established law firm on a full time basis. ACS are looking for a Junior Legal Cashier to join the Liverpool office of a well-established law firm on a full time basis. ACS are looking for a Proclaim Developer to join the Liverpool office of a well-established law firm on a full time basis. ACS are looking for a Senior Family Solicitor to join the Liverpool office of a well-established law firm on a full time basis. We are currently recruiting for a Paralegal/Legal Assistant for a law firm in Bolton. ACS are looking for an experienced Legal Secretary / Administrator for a law firm in Stretford. ACS are looking for an experienced Legal Secretary for a Partner of the Liverpool office of a well-established law firm on a full time basis.